From a young age, Benito Rangel de Maria was set on a path that interwove disparate cultural and geographical boundaries. While he was born in Michoacán, Mexico, in 1970, Benito grew up in Chicago, a city bordered by pockets of diverse ethnic cultures that ultimately influenced his outlook on the world. He earned a Bachelor’s Degree in Fine Art from Lake Forest College, with a concentration in printmaking. Although he experimented with various media while earning his degree, Benito always returned to working with paper and ink. During his college years, he spent a year abroad, living in Madrid and Paris before returning to the US to graduate in 1994. After graduation, he completed a Studentship at The Peggy Guggenheim Collection in Venice, Italy, where he studied the museum’s permanent collection while performing various docent duties. Soon after, he joined the ARCH Foundation in Lugano, Switzerland, where he coordinated conservation and restoration projects including efforts in St. Petersburg, Russia and Dubrovnik, Croatia. Through these travel experiences, Benito became fully engaged in ideas of cross contemporary cultures. His desire to further explore these issues artistically brought him back to the United States to develop his career as a full time artist. His work has been featured in solo and group exhibitions throughout the Bay Area. Benito has recently completed artist residencies in Costa Rica and Berkeley where he further explored printmaking techniques. 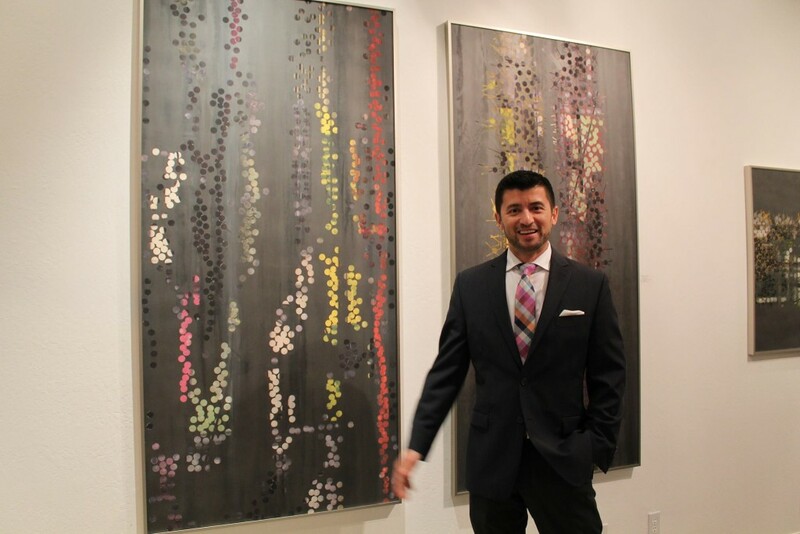 His work has been exhibited at ArtMarket San Francisco and has completed large scale commissions for private collectors as well as corporate clients such as the newly built Chase Center, San Francisco. Feb 2014 Issue, Interview by Soydeth Avila “TRIBE”. Jan/Feb 2010 Issue, Review by Allyn Cantor of “Constant Motion” installation, page 86. Fall 2007 Issue, Review of “Microcosm” series, page 18. Spring 2007 Issue, Review of current work in Contemporary Art section, page 31. Publication included “AutoMotion” Series among Top 100 artworks chosen for this juried book.